A Shannon Brown personal appearance, Shannon Brown speaking engagement, or Shannon Brown endorsement will reflect well on your company. To hire Shannon Brown now for any corporate appearance, fundraiser, motivational speaker event, personal appearance, autograph signing, or website endorsement please contact our celebrity agents at 1-877-6-SPORTS. We will contact Shannon Brown or contact Shannon Brown's agent and provide you with the booking fees and availability immediately upon your request. Direct Sportslink is the only sports speakers bureau and talent booking agency based in the United States securing only sports talent for corporations, associations, and organizations for motivational speaking engagements, personal appearances, and endorsements. We are the premier sports celebrity booking agency and a sports celebrity procurement expert. Accordingly, we will provide you with any relevant Shannon Brown website information and booking agent details so that you can hire Shannon Brown for your next event. Shannon Brown was named 2003 Illinois Mr. Basketball and a McDonald's All-American. He played college basketball for the Michigan State Spartans. His vertical leap is one of the highest in the NBA. and he can often be found on ESPN Sportscenter with highlight dunks. 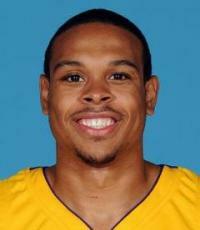 Shannon Brown's basketball story is one filled with great determination. After being cut and traded by several teams, Shannon has certainly found success an active part of the Lakers rotation. 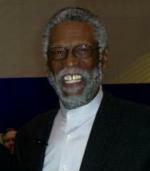 Brown was drafted in the first round with the 25th pick of the 2006 NBA Draft by the Cleveland Cavaliers. On February 21, 2008, Brown was traded to the Chicago Bulls. he then signed with the Charlotte Bobcats. On February 7, 2009, Brown was traded to the Los Angeles Lakers where his career skyrocketed. On July 6, 2009, Brown agreed to return to the Lakers for two years and $4.2 million. Shannon was selected in the 2010 Sprite Slam Dunk Competition during NBA All-Star weekend. He signed a contract with the Phoenix Suns in 2011. A motivational speaking engagement from Shannon is sure to inspire your audience members about persrverance, hard work, determination and staying focused on their goals. 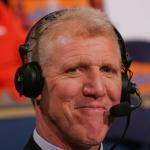 He is the ideal speaker for a basketball sports camp. Click here to view his basketball camp testimonial. Based on your interest in Shannon Brown as a speaker or for a personal appearance, Direct Sportslink has provided you additional links below for other sports talent with similar appearance fees, speaker topics, and categories that match Shannon Brown.